Bright, beachy, beautiful and full of sunshine! 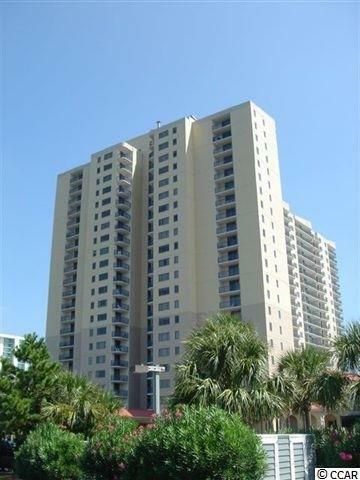 This condominium gives you the coastal vibe the minute that you step in. 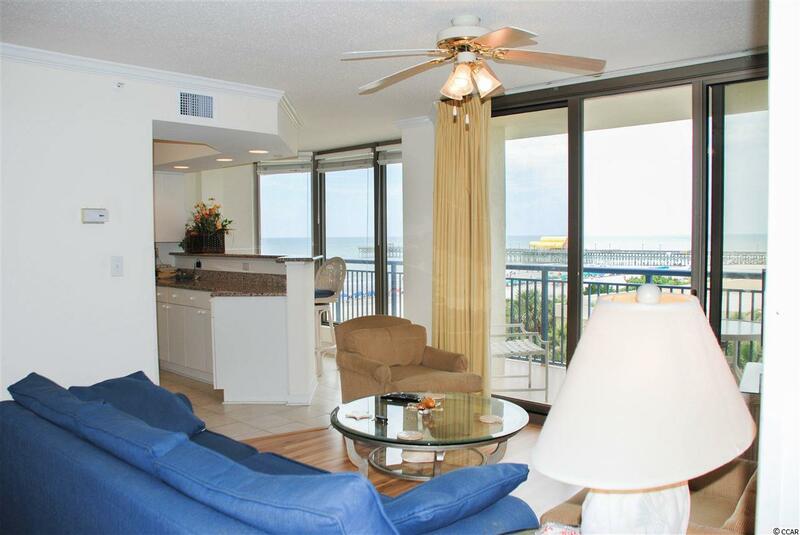 Enjoy a spanning view of the ocean, listen to the waves roll-in and watch the wind sway the palm trees. Large sliding doors open the living room up to a deep-set balcony. 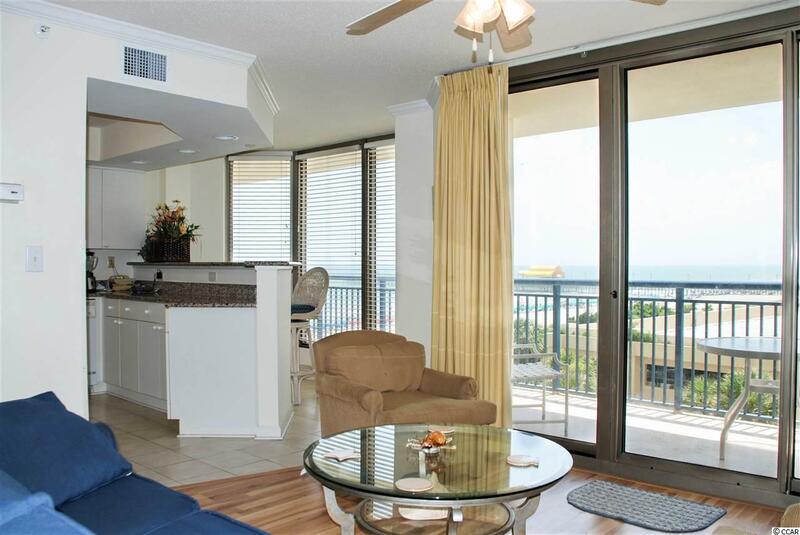 Two spacious bedrooms both provide ocean views and plenty of closet storage. The kitchen has granite counters, a breakfast bar and great cabinet space. 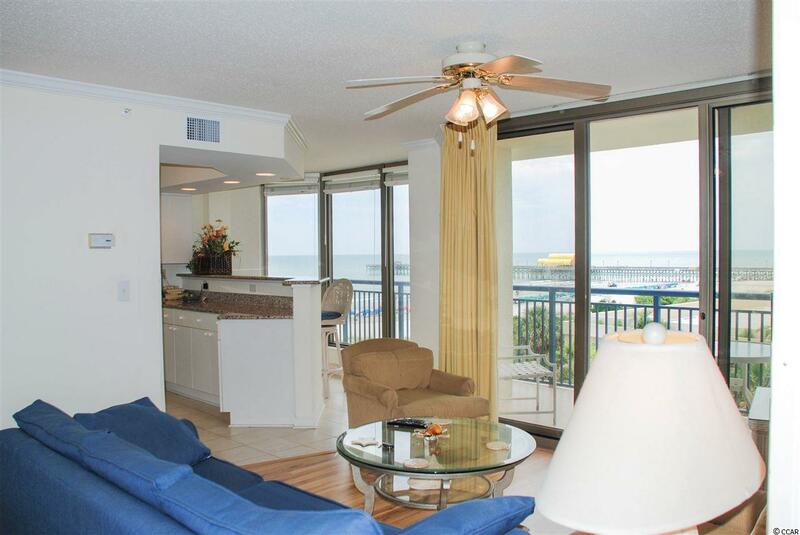 Just a short walk to the ocean, multiple options of pools, and all amenities that Kingston Plantation, a prestigious 145 acre resort, has to offer!